Jeanette Kennedy Carrington, age 93 of Ripley, Ohio died Monday, October 29, 2018 at the Ohio Valley Manor Nursing and Rehabilitation Center near Ripley. In addition to being a homemaker, she worked at the Lucky Stride Shoe Factory in Maysville, Kentucky for several years and then went to U.S. Shoe in Ripley, Ohio, which made thirty years. Mrs. Carrington gave her heart and life to Jesus and was baptized on October 6, 1958 and became a member of the Ripley Church of the Nazarene. She loved the Lord and her church more than anything and was very active in the church until her health started failing her. She loved doing things for the Lord and was glad she became a Christian, so she could help others. She served as the church board secretary for thirteen years and loved doing it. 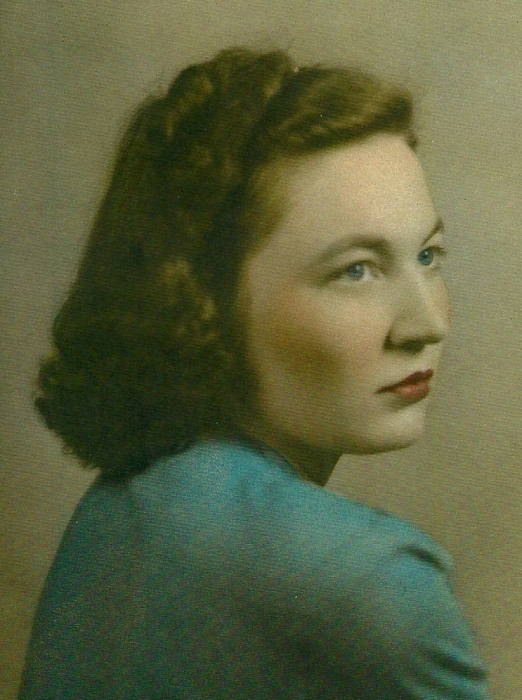 Mrs. Carrington was born June 4, 1925 in Lewis County, Kentucky the daughter of the late William and Gustava (Doyle) Kennedy. At age five, she moved to Russellville, Ohio and attended school there for seven years. She then moved to Ripley, Ohio where she attended Ripley Union Lewis School. She was also preceded in death by her husband – Wilfred Carrington; one grandson – Shawn Carrington; one son-in-law – Tom Cluxton; one grandson-in-law – Chris Wheeler; one brother – Jasper Kennedy; four sisters – Lucille Doyle, Myrtle Doyle, Hazel Prather and Evelyn Howe Thompson. Mrs. Carrington is survived by four children – Dwight Carrington (Paulette) of Amelia, Ohio, Marilyn Cluxton of Ripley, Ohio, Kevin Carrington of Ripley, Ohio and Joy Phelps (Mark) of Naples, Florida; seven grandchildren – Jeffrey Cluxton (Patricia) of Ripley, Ohio, Chris Cluxton (Sherri) of Georgetown, Ohio, Todd Cluxton (Rachael) of Ripley, Ohio, Lynette Wheeler of Cincinnati, Ohio, James Carrington of South Carolina, Brandon Carrington (Britney) of Jamestown, Ohio and Brandon Phelps (Megan) of Naples, Florida; twenty-one great grandchildren and many friends who loved her. Funeral services will be held at 1:00 P.M. on Friday, November 2, 2018 at the Ripley Church of the Nazarene in Ripley, Ohio. Rev. Clark Castle will officiate. Visitation will be from 11:00 A.M. to 1:00 P.M., also at the church. Interment will follow the funeral service in Maplewood Cemetery in Ripley.